Useful Tips for Biking around Cusco! 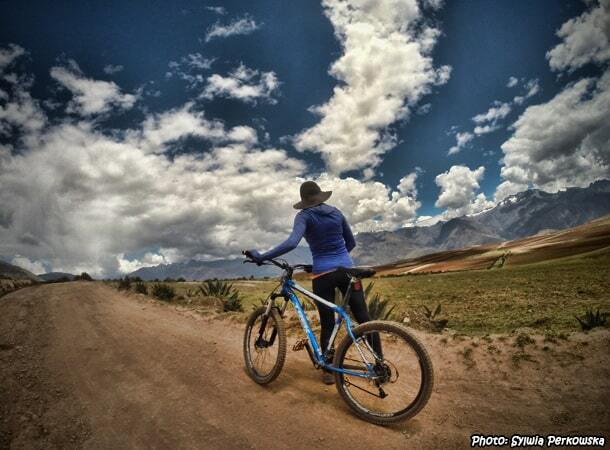 If you are thinking of doing a bicycle tour in Peru, the Cusco Region is the place to be. It is perfect to organize a one-to-three day bicycle tour (or a longer one if you prefer). Here you can find all kinds of routes, from simple to difficult. 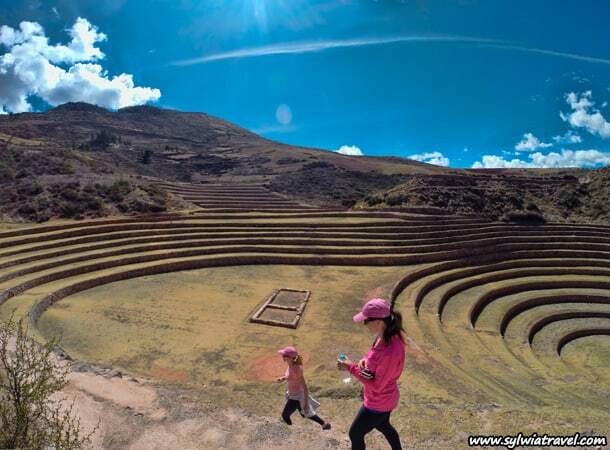 One of the most beautiful one-day tours in the region of Cusco, is without a doubt the route of Chinchero-Moray-Salineras de Maras – Urubamba. Firstly, this route has an amazingly beautiful, mountain scenery, with lots of important tourist attractions. In other words, you can combine a fascinating bike adventure, memorable experiences and an insight into history – into one! Sounds like a super deal, right? 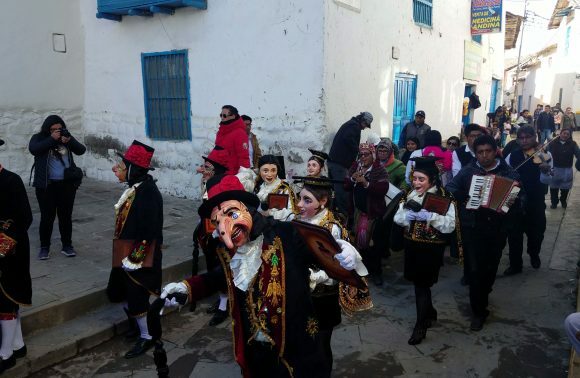 Furthermore, it is a great place to explore the villages along the way; get a glimpse into the daily lives of Peruvians, and even taste one of the most popular Andean beverages – Chicha de Jora (corn beer). 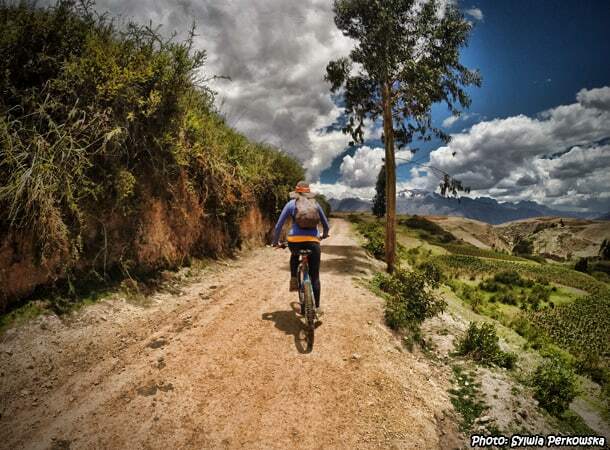 How to do a bicycle tour in Peru? Moray and Salineras de Maras are very nice places, located close to the city of Cusco. There are several possibilities to get there. They all differ by distance and level of difficulty. Your choice will depend primarily on your cycling ability and physical condition. Basically, all the biking tours here can be handled both by younger cyclists, as well as experienced ones. This tour can be done within a day. You would need to have a full day, from about 6 AM to at least 8 AM (including bus travel and stops for sightseeing along the way). Before I give you some logistical tips about the expedition, a few words about the most famous tourist attractions on the way – Moray and Salineras de Maras. Moray is a small village, located near the archeological complexes of the Inca Empire. The construction consists of three natural circular depressions in the ground, whose slopes constitute agricultural terraces. Two terraces are combined, while the third is placed a little bit further. Until now, no one knows about the mystical meaning of those specific “holes”. 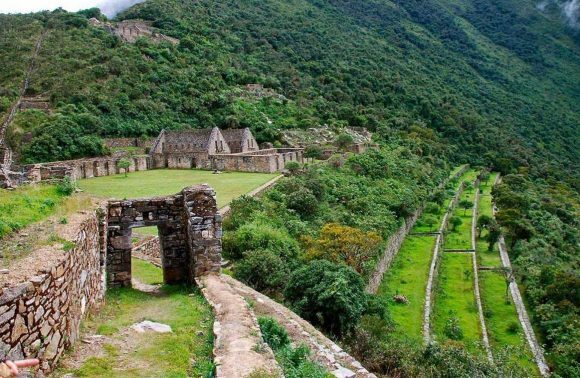 Some popular theories describe that they were built as agricultural laboratories, in which the Incas conducted research on how changing climates affect the growth of crops. The most interesting thing about this place is that terraces are situated on different levels. The difference between the highest and lowest terrace in the individual hollows is up to 30 meters. Therefore, the amount of sunlight that goes to each terrace also varies, leading to changes in temperature. It turns out that the annual average temperature difference between the highest and lowest terrace is 15°C. Finally, each terrace includes a complex irrigation system. Thus, the entire structure of these mysterious “holes” in the ground is worth seeing, especially as it is possible to go down to the bottom and walk through different levels of the terraces. Due to some policies changes, you are not able to buy an admission ticket exclusively in the Moray area. You can enter this complex only if you have the so-called Boleto Turistico. It is a special ticket which allows you access to a number of other important sights in the region of Cusco. The cost of this ticket is about $44. You can purchase a ticket for a lower price, but with reduced access to attractions. Salineras de Maras is a salt mine. 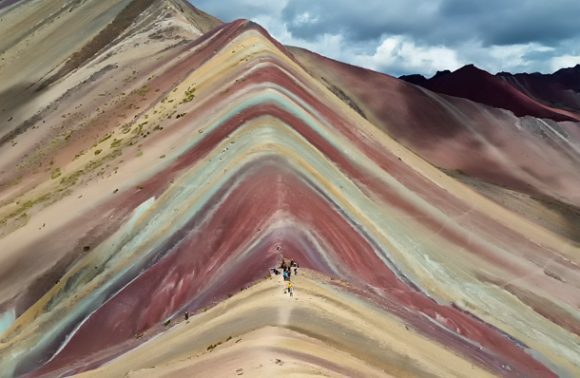 It is located near the town of Maras, hence the name Salineras de Maras. The complex consists of more than 5000 salt ponds situated on the steep slopes of the valley of Urubamba. The first salt ponds of this site existed at the time of the Inca Empire and interestingly, the method of salt production has not changed since the time of the Incas. You can learn more about the process of salt crystallization in the rectangular ponds, which are no bigger than four square meters and no deeper than thirty centimeters. In the dry season, it is possible to obtain a 10-centimeter layer of salt from any of the ponds. Entrance ticket to Salineras de Maras costs only 7 Soles and can be purchased in front of the gate. There is an option for the experienced cyclists to organize an expedition on your own – which is a great way to save money. If you are not an experienced cyclist, we strongly recommend that you go with someone with experience or book a trip with your local travel agency (which costs about $80-160 – depending on the company, quality of bikes and duration). You will avoid the unwanted stress and will have everything prepared, you will not get lost, and if something happens to the bike, you will either receive another one or your current one will be repaired. You will be provided with private transport which will always be close to you. 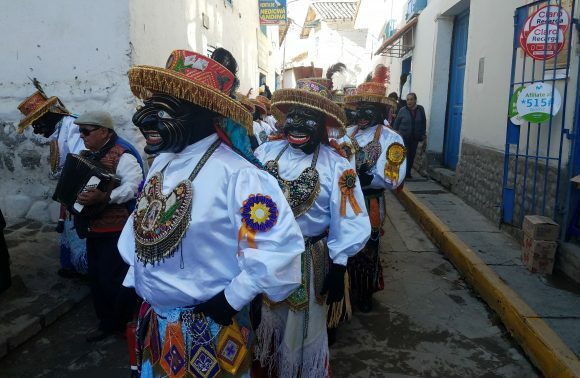 Also, by having private transport, you have the chance to see even more sites – such as the Inca ruins in Chinchero and zip line situated nearby. Sounds like an incredibly memorable day, doesn’t it? However if you will decide to do the tour on your own, here you will find useful information. 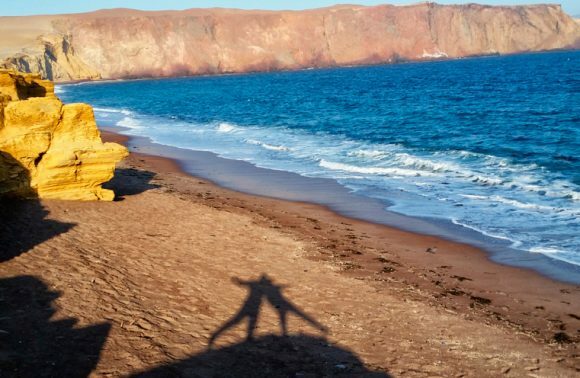 How to get by bicycle to Moray and Salineras de Maras on your own? 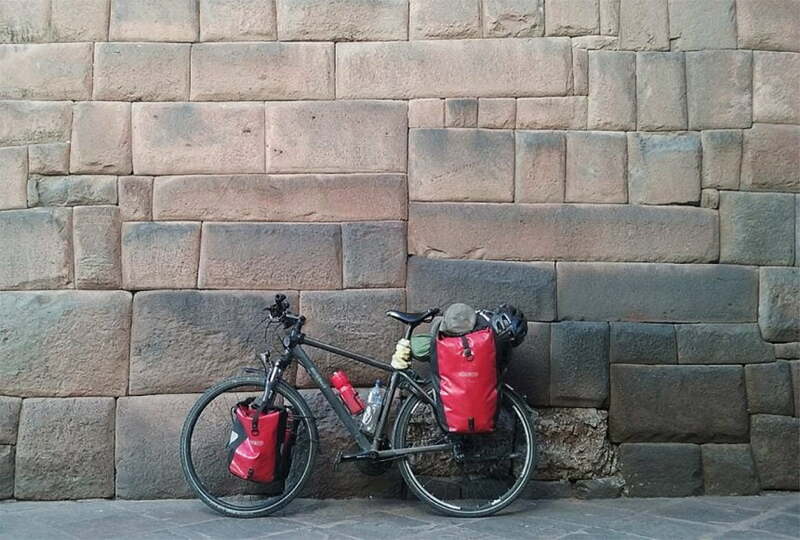 Firstly, you’ll have to rent a bike in Cusco. Then, take a bus towards Urubamba and get-off near Chinchero. Your route will depend on how much time you want to devote to your ride. One of the options is to start from a place called Chancadora (before the town of Chinchero), adding a few extra kilometers to your ride; or from a place called Cruzpata (after the town of Chinchero), making your ride shorter. Personally, I recommend going from Chinchero to Moray, then to the village of Maras and end at Salineras de Maras. I advise you to leave Cusco early in the morning, around 6 AM, because it will take about an hour to get to Chinchero. You will then need ample time to ride and some additional hours to explore the various attractions on the way. Keep in mind that you will also need time for rest, taking pictures and eating lunch. Once in Salineras de Maras, you can enjoy beautiful views and explore the salt mines, after which, you will need to take the road towards the river Urubamba. Be aware that this stretch is very demanding, it is therefore recommended that amateur riders walk down with your bicycles! The walk will take no more than 30 minutes, and after it you will have some kilometers of flat road to enjoy by bike again. 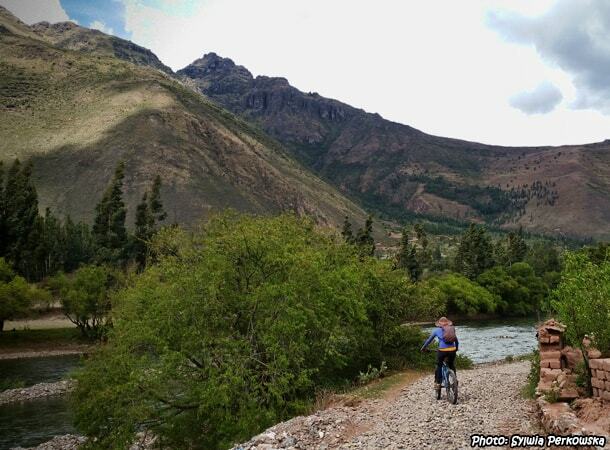 You can get from the Urubamba River to the city of Urubamba within 45 minutes or 1 hour. 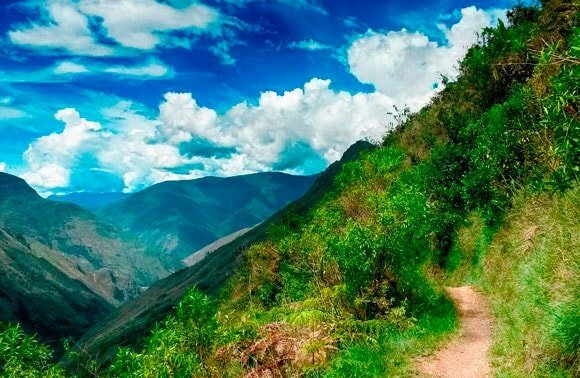 In Urubamba city, you need to find a bus stop, which will not be difficult, because it is situated right on the main road, which you will be following. The return trip to Cusco will take about two hours – by local bus. If you wish to go a bit faster you can pay a more to take a smaller bus. There are different ways to arrive at Moray and Salineras de Maras. You should provide yourself with maps and get a basic knowledge of how to move in the area – as sometimes you will be all alone on the road or the locals will not give sufficient directional advice. Be prepared to deal with everything on your own. Though the majority of the roads are flat or go downhill, you will still be confronted with the parts which are definitely more advanced and require some extra skills. Especially the last part of the road between Moray and Maras which is quite steep. Despite only being a short stretch, you need to be prepared for it. 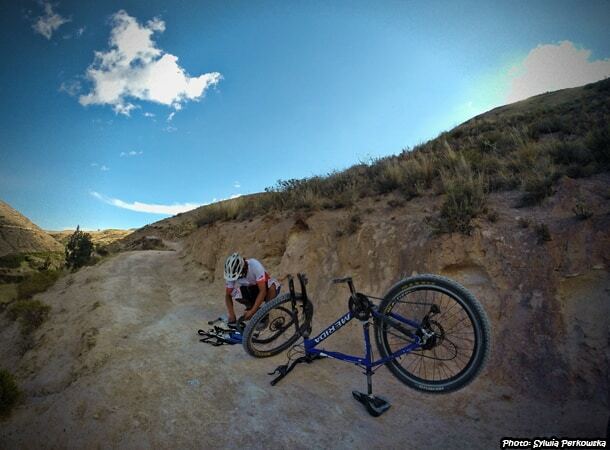 If it is too much for you, or you don’t feel ready to ride downhill, get off the bike and walk. Do not be discouraged! You will have more time to admire the beautiful landscapes. 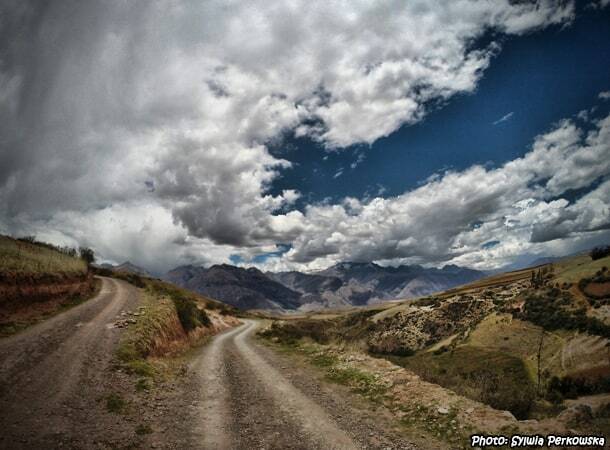 The next challenging part appears on the road between Maras and Salineras. This path is extremely attractive but in some moments a little bit steep and covered with stones, which requires you to be more focused and ride slower or overcome the parts on which you do not feel comfortable on foot. A lot of bikers will ride here quickly, but there are those who are forced to walk. As I mentioned earlier, the most difficult section is from Salieneras to Urubamba River because it is very steep, narrow and covered with small stones. Due to these reasons, it’s advisable to take some additional accessories such as a helmet and knee pads. Every time I cycled this region in the past, I would only take a backpack and bicycle; however, I recently suffered quite a dangerous fall, from which point I promised to never ride without protection again! Though it will take some extra weight, you should bring a system to repair the inner tube and reserve-inner tube of the bicycle. The many stones on this route often cause problems for the bikes. It may be the case that you never have to do any repairs. As in life, you may be lucky enough to ride the route without any surprises, but it can also be the case that you have less luck. And in these situations, it is better to be prepared. Out of the six times I rode this route, I experienced problems with the inner tube on two occasions. Short on time, or already seen Moray? 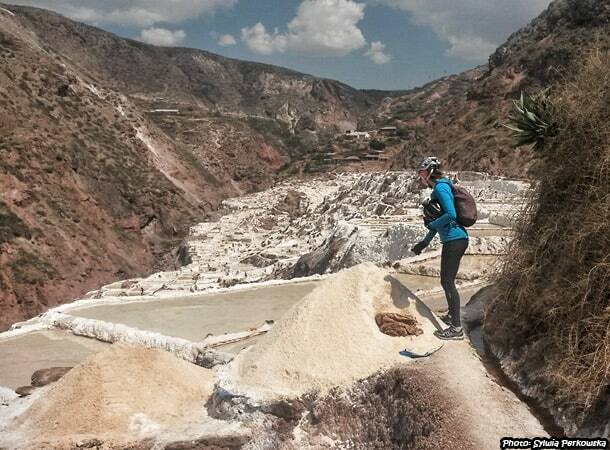 Learn about taking a shorter biking tour just to the Salt Mines of Maras with DaspeTravel! Stunning pictures! Was it hard to do the tour on your own?